There’s a glitch with my Californian driving license. The DMV, the equivalent of the British DVLA, has reissued Ian’s license without batting an eyelid, but not mine. The department’s computer is being particularly cagey about what went wrong, but the people are insistent that I have to take both parts of the driving test again: written and practical. Last week I passed the final part of the test. The children weren’t remotely impressed when I told them I’d passed. “Why would it be difficult, Mummy? You’ve been driving for years.” While they have a point, it made me think about why I was more impressed with myself than they were. Driving is different here, as I’ve said before. Both the Californian and British driving systems worship safety, but they have different ways of achieving it. For example, the Californian system advises against changing lanes on motorways because changing is dangerous. It recommends driving in the middle lane, wherever possible. Whereas in Britain drivers are encouraged to move towards the middle of the motorway to overtake and then move straight back. In other words, to change lanes. Which makes sense when the speed limit is higher than 55mph and different lanes of traffic move at different speeds. 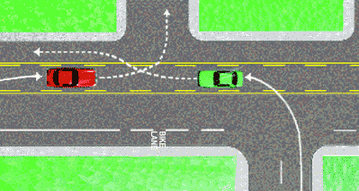 Another example: here, you must move into the bicycle lane 200yds before making a turn to get clear of the traffic. But in Britain, you must avoid bicycle lanes because they could contain cyclists. A turning lane. Pessimistically viewed as an opportunity for a collision. And another: here, when you make a turn into or out of a side street, you must drive into a special lane that exists specifically to help you merge into the traffic. The trouble is, traffic from either direction can use it. It looks deceptively like the old “death lanes” in Britain, lanes down the middle of the road that can be used by traffic from either direction to overtake. They involve taking your life in your hands because a car from the opposite direction could be using the lane at the same time. So, same objective, contradictory methods. I think I’m quite justified in feeling smug about passing the test without contravening the Californian ideals of safety. We didn’t have stickers on our cars in Britain, but we love having them here. 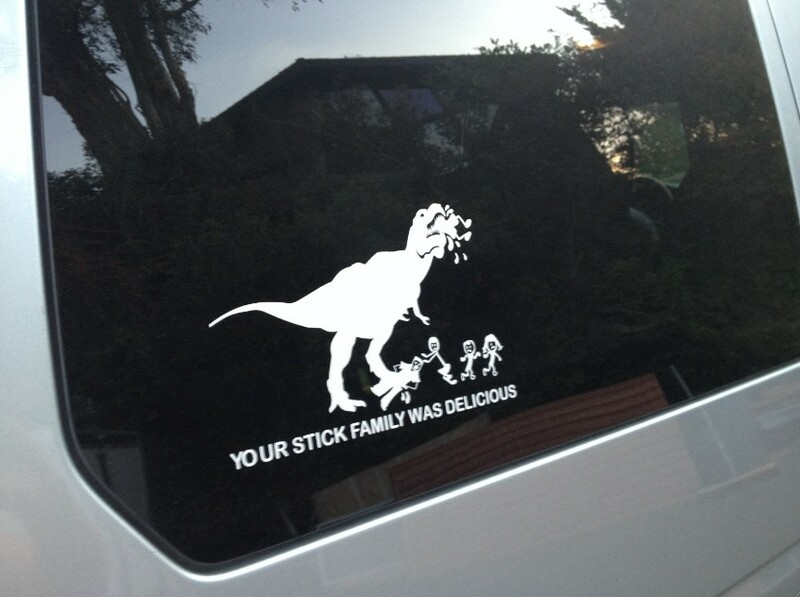 This is the sticker on the Land Rover.